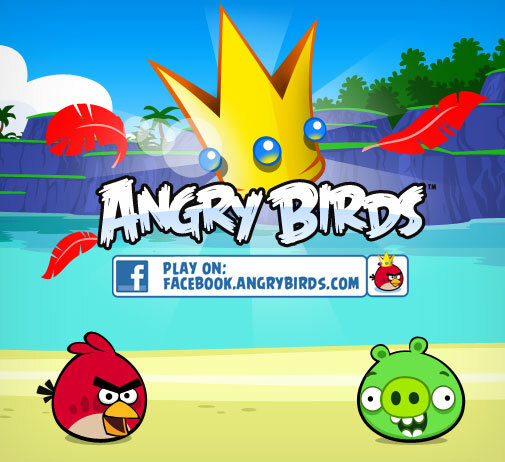 I am not sure how many of you are familiar with the game .Angry Birds. It seems to be very popular among the young kids and even adults. My husband who is an avid player, began playing this game a few months ago and really seems to enjoy it. Well i am always aware at how much my husband enjoys a game at how much he cussess and hollers at it hahahaa. and well lets say that more than a few colorful words have escaped his lips here lately. As he will holler at this game as though it has a life of its own. Recently in the last week i decided after much prodding from my husband to try this game. Which is now on facebook. So i tried the ever so popular game. Well i must say that pretty much i was hooked from the very beginning as i would attempt to catapult different birds through the air to break down structures that were hiding green pigs.. As the birds go sailing into the air and hits anything you hear the ow ow ow ow ow and i found myself laughing at the lil creatures. However, as the structures became more and more difficult to break with the birds i almost felt as though the lil flying animals were taunting me. I have become aggravated.. frustrated and annoyed at this game and yet i keep on playing; and all i can say at this point is ANGRY BIRDS make me so ANGRY. Lil Bastards!!! Are evil evil creatures who are hell bent on tormenting the player as well as the Pigs. hahahahhaaa..
Yep, my hubby does that too with his games.